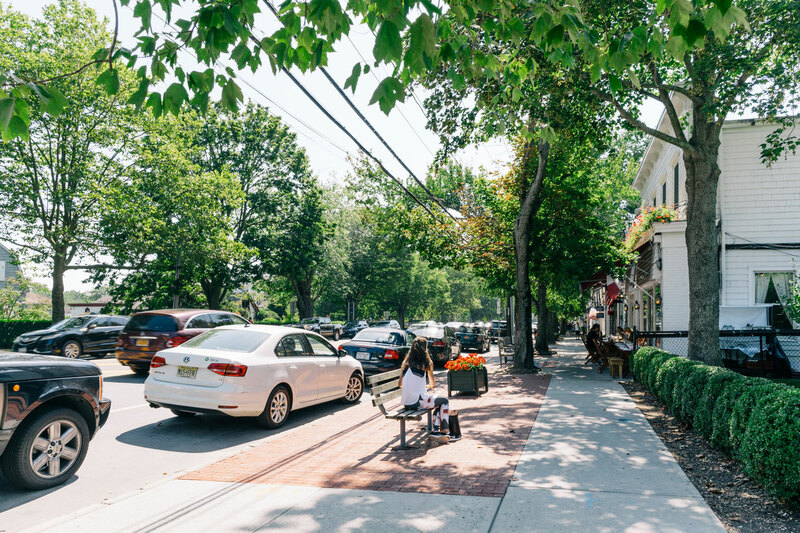 A stroll down historic Main Street will let you discover classic diners, lauded bistros and quaint antique stores, while a journey out in the heart of Hamptons horse country will introduce you to farm stands selling the latest seasonal produce. A highly sought-after destination for vacation rentals, Bridgehampton also provides plenty of options for year-round residents. Among Bridgehampton homes for sale, you'll find extensive rural estates, charming shingle-sided cottages, and more modest single-family dwellings. In the heart of the Village itself, you will find many well-maintained Victorian-style homes, while to the north there are newer builds with more modern amenities. In the middle of the 17th-century settlers moved into an area at the head of Sagg Pond and they established a community called Bullhead. In 1686 Ezekiel Sandford built a bridge across the pond linking the communities of Sagaponack and Mecox. It's this bridge from which Bridgehampton draws its name. 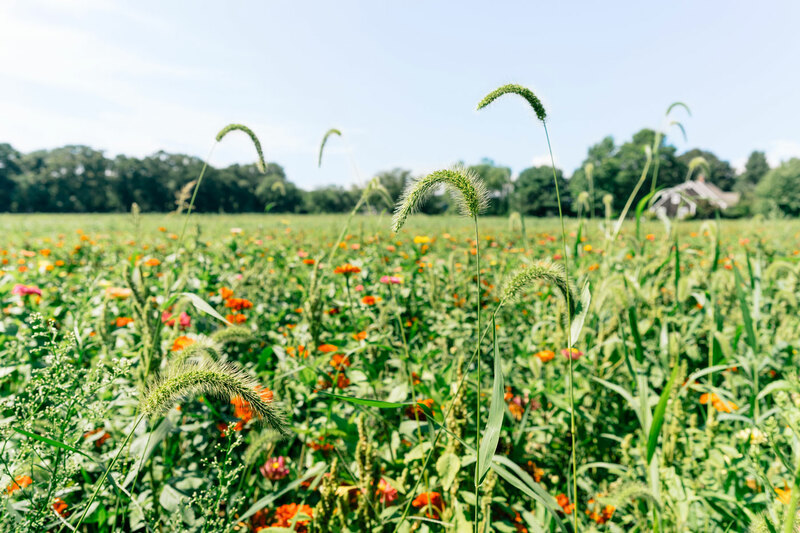 For the following two centuries Bridgehampton was a thriving fishing and farming town, but in 1870 the Long Island Railroad arrived bringing new residents and tourists looking to escape the big city, a trend that continues to this day. On July 4th, 1910 the town celebrated its 250th anniversary with the unveiling of The Bridgehampton Monument. 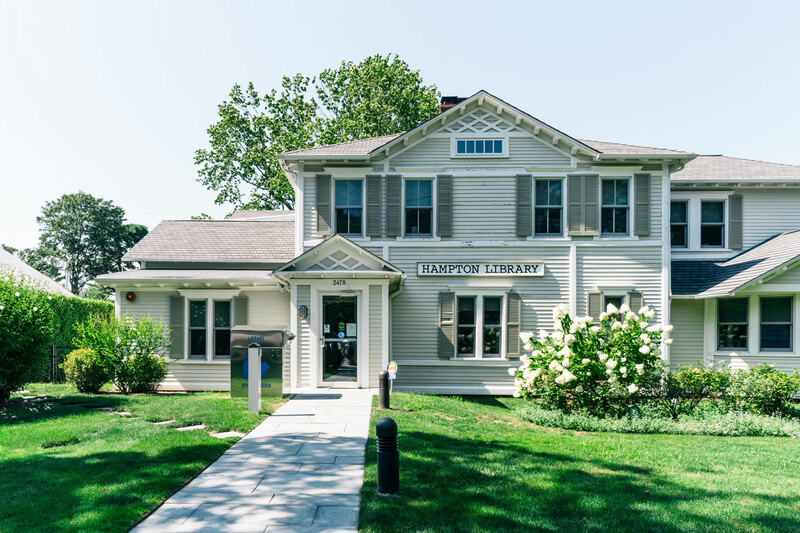 The Bridgehampton Museum, housed in the 19th century Corwith House, hosts special events and exhibitions that celebrate the town's history, from its rural past to the present day. Every Labor Day weekend Bridgehampton hosts the Hampton Classic Horse Show, one of the largest show jumping contests in the United States. It is also one of the Hampton's most significant social events and signals the finale of the summer season. Another large event is The Bridgehampton Chamber Music Festival, which has grown to include 13 concerts of chamber music through July and August featuring some of the world's most renowned classical musicians. Held in the intimate setting of the Bridgehampton Presbyterian Church, in recent years the series has expanded further to include three spring concerts. For a great family day out, The Children's Museum of the East End offers a chance for children to learn through play with many hands-on exhibits and educational programs. There's a drop-in art studio, Lego Club, mini-golf, and pirate ship to keep toddlers and young kids entertained for hours at a time. Most places are lucky to have one beach, but Bridgehampton has several options for beachgoers. Centrally located Sagg Beach remains remarkably low-key and has ample parking, though non-residents require a day-pass. Even quieter is Mecox Beach whose calm inviting waters offer a peaceful afternoon dip, while Ocean Road Beach is a popular choice for surfers and day trippers. Finally, one of the East End's prettiest walks can be had on the boardwalk at Sagg Swamp Preserve where you pass a chain of ponds, marshes, and streams, surrounded by wildlife and flora. So far over 84 species of birds have been spotted there making the destination particularly popular with birders. Located at the center of Bridgehampton's downtown district, Garnet Hill exemplifies the modern coastal lifestyle. It is a treasure trove of luxury linens, beddings, sleepwear and home décor lines. It's a favorite among interior designers and also has a tight edit of women's apparel. Expertly curated Michele Farmer Collaborate is the place to go for high-end resort-wear, jewelry, accessories, home décor and a men's collection spanning cashmere sweaters to swim trunks. She focuses on lesser-known brands to make your purchase feel even more unique. On the outskirts of town, there is also a shopping center called Bridgehampton Commons where you'll find everything from Gap to Williams-Sonoma. Open year-round for breakfast, lunch, and dinner, Jean-Georges at Topping Rose House is a casually elegant restaurant with a menu that uses ingredients grown on the property's one-acre farm and sourced from the area's fishermen and farmers. In the middle of Bridgehampton is Pierre's, a lively French restaurant that offers classic bistro fare. Open since 2002; it serves breakfast, brunch, lunch and dinner seven days a week, 365 days a year. World Pie has a kitchen open until midnight, every night, all year round. It is known for its wood-fired thin-crust pizza but also has fresh salads, appetizers, and entrees. Bobby Van's Steakhouse opened in 1969, and the restaurant has been a gathering place for literary giants like James Jones and Truman Capote who is rumored to have finished 'In Cold Blood' here. Finally, Candy Kitchen has been around for over 90 years and is the place to come for classics like a tuna melt, fries and delicious homemade ice-cream. It has worked hard to keep its original décor and still has an old-fashioned soda fountain. Topping Rose House Bar is based in a Greek Revival-style mansion built in 1842 for one of Bridgehampton's most prominent citizens. This hotel has a superb restaurant and an excellent bar where you can enjoy craft cocktails and an extensive wine list in a relaxing lounge area. Alternatively head outside to enjoy a drink in the fresh air of the orchard and lawn. 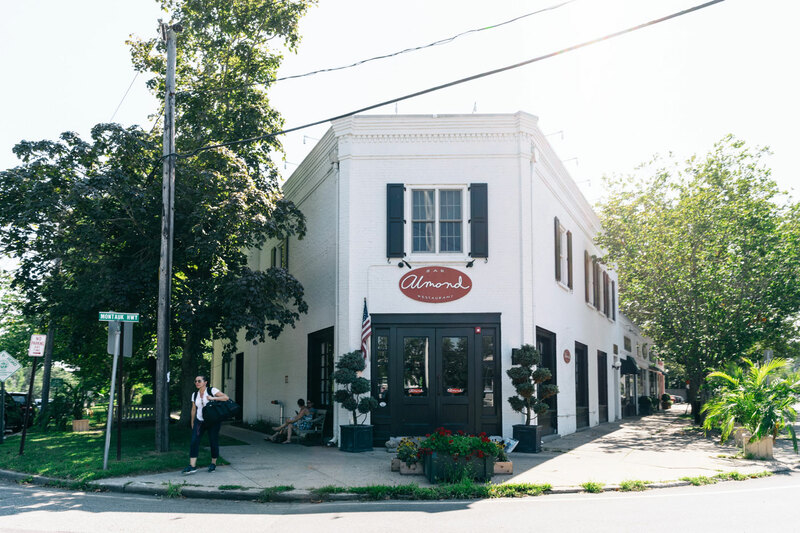 Finally, downtown Bridgehampton is home to the much-loved Almond, a farm-to-table restaurant that has garnered praise from Wine Spectator and the New York Times. The building is as impressive as the food. The restaurant is housed in a 100-year-old space with tin ceilings, a hand-carved bar, and classic white subway tile.